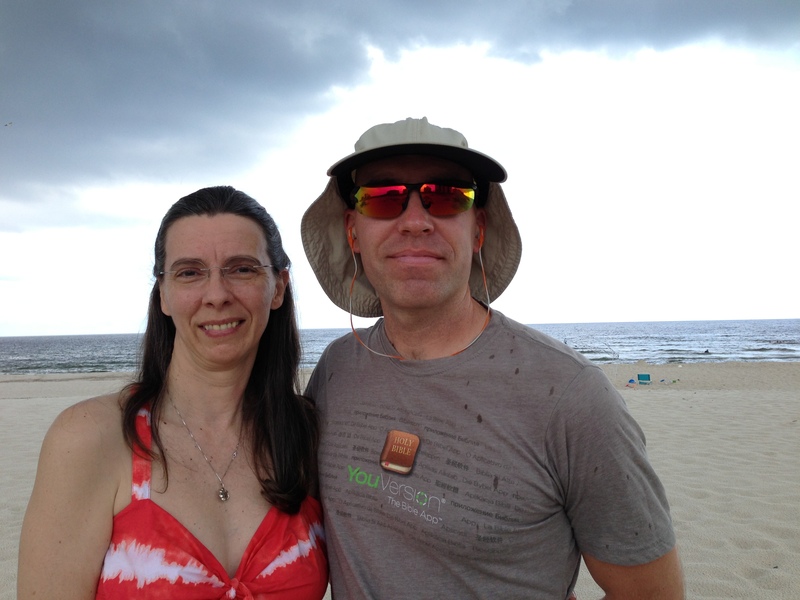 Last week we took a quick trip down to Perdido Key to celebrate my Mother-in-Law’s birthday with her. I think Ebby had the best time of all of us. This beautiful lady came to visit this week. I think she/he had just gotten her wings, as she was doing more walking than flying. 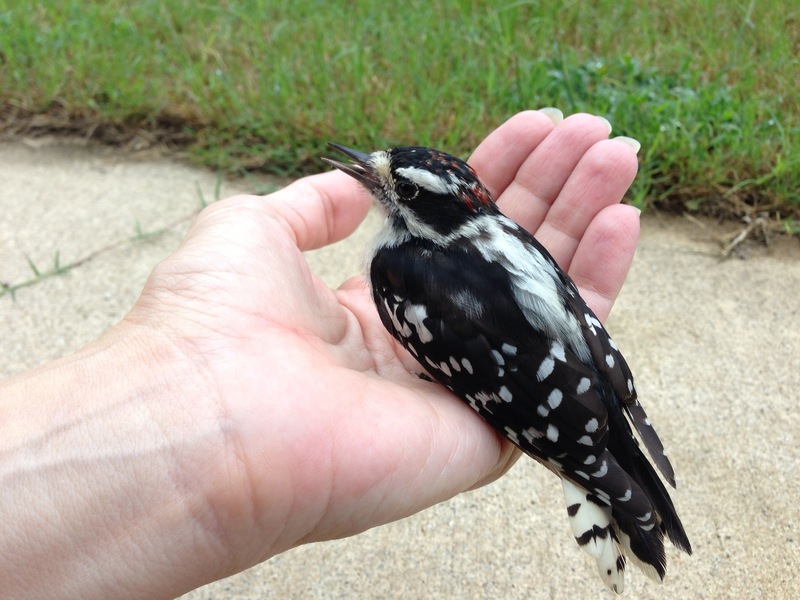 Speaking of flying, this little guy (definitely a male) attempted to fly through my 2nd story window. 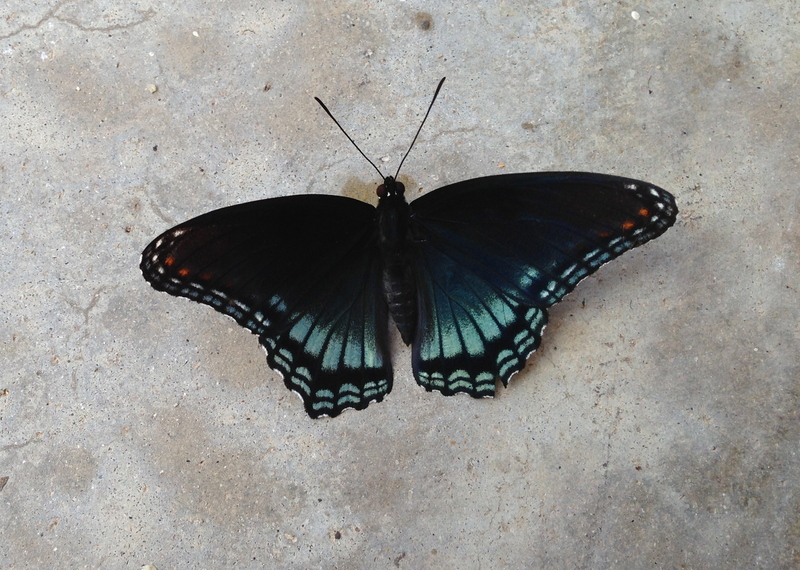 He fluttered down to the patio, stunned, but not broken. I was able to hold him and pet him for about 20 minutes before putting him safely under a wagon where he could recover. It only took a few more minutes and he was back up in the tree, safe and sound. This chart is a breeze and I am thrilled. Here is one week of stitching progress. I won’t post progress shots weekly, but just wanted to put up a starting benchmark. 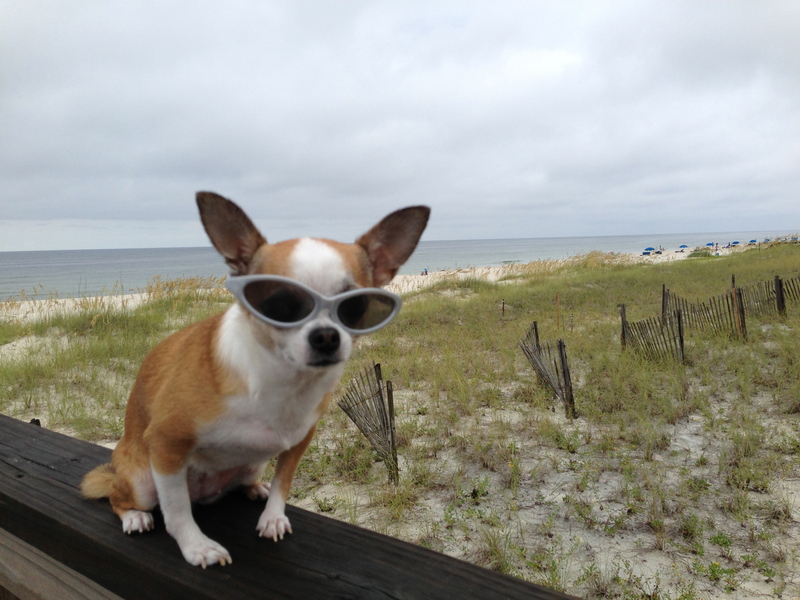 Ebby looks so cool! I knew she was a little diva but this just proves it, LOL! Pretty butterfly. Glad the bird was safe. You and Scott look like you had a good time. 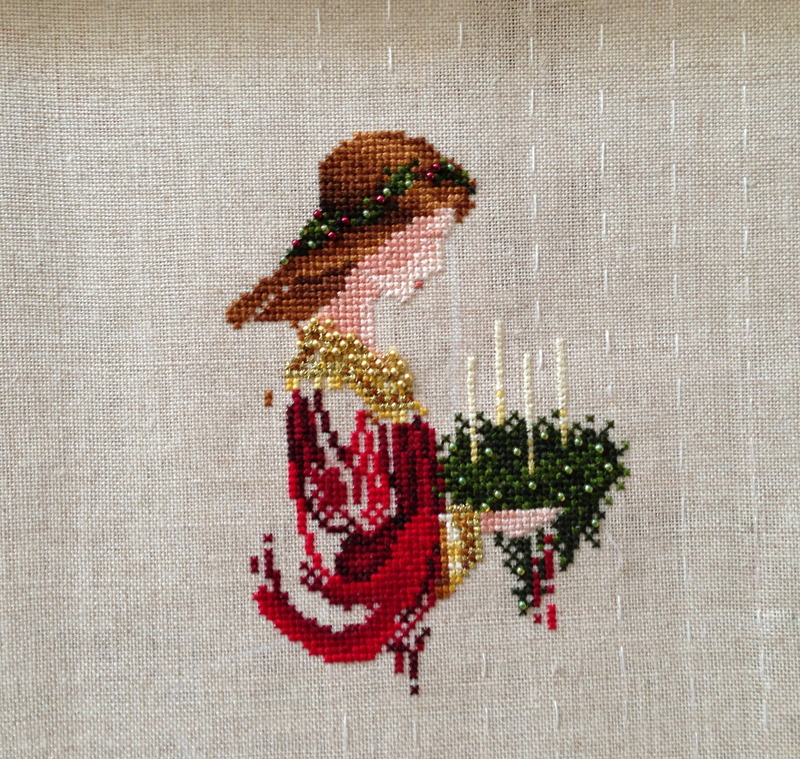 Beautiful start to your cross stitch. And I think a weekly (biweekly? monthly?) picture update would be a great idea! No way would my dog get on that fence railing and not have his ears plastered to his scalp. You’re so lucky – it’s a great picture!